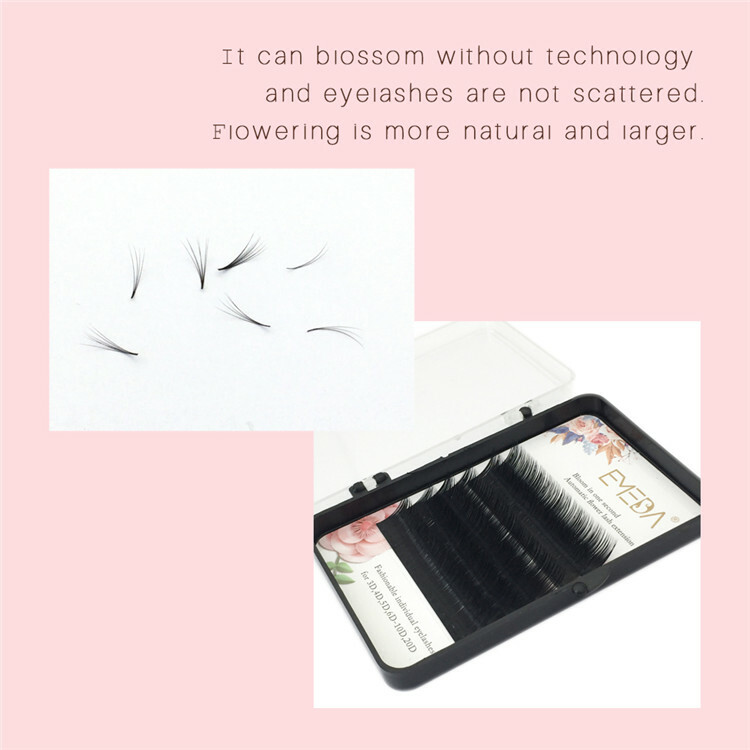 Eyelash vendors wholesale automatic flowering eyelashes.These new automatic flowering eyelashes are a one of a kind eyelash.A selection of 3-5 for a cluster of grafted to a lash on the eyelash method for the automatic flowering eyelash.They will seamlessly blend with your own lashes, for the most natural look. 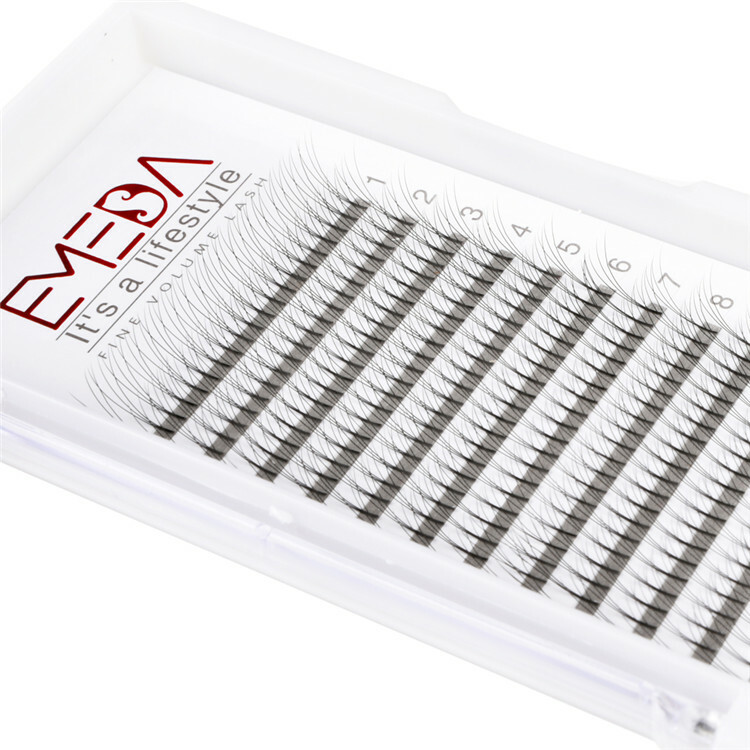 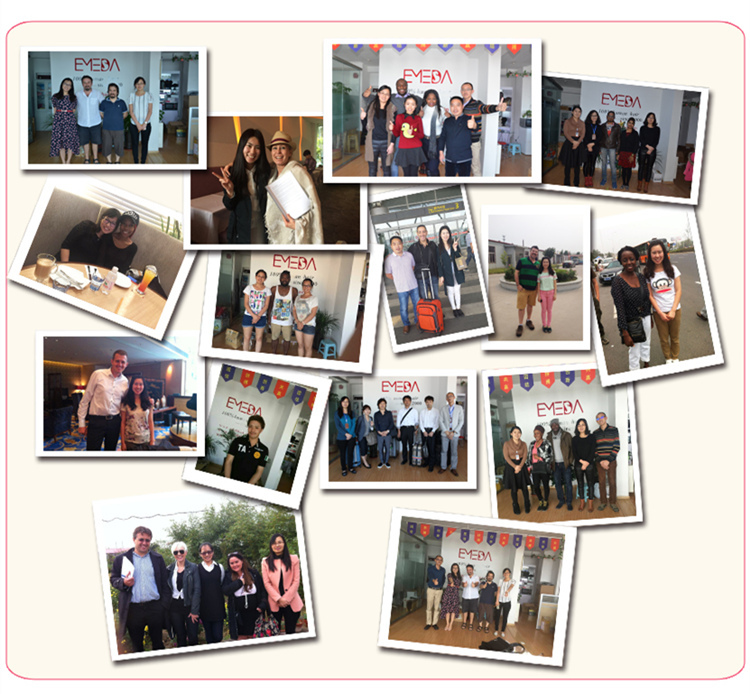 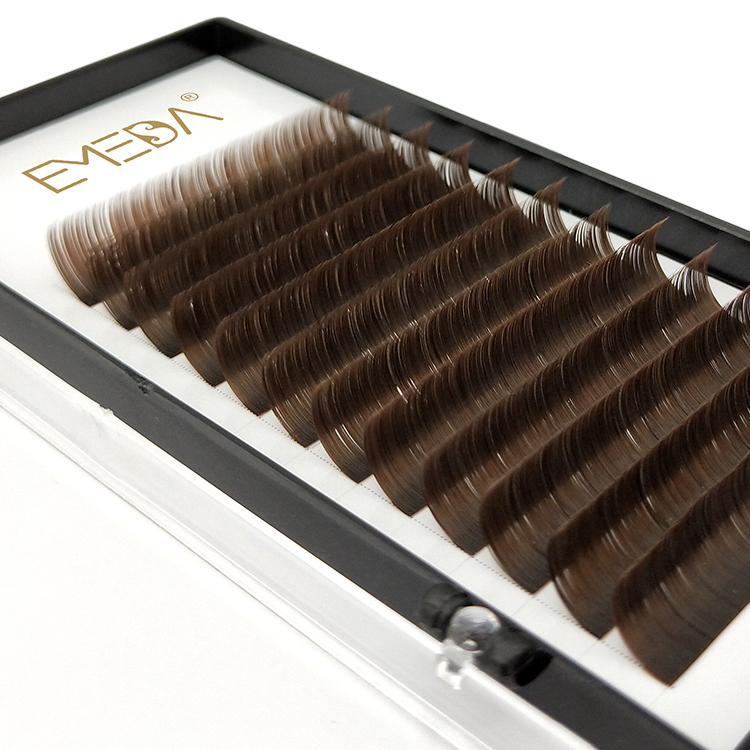 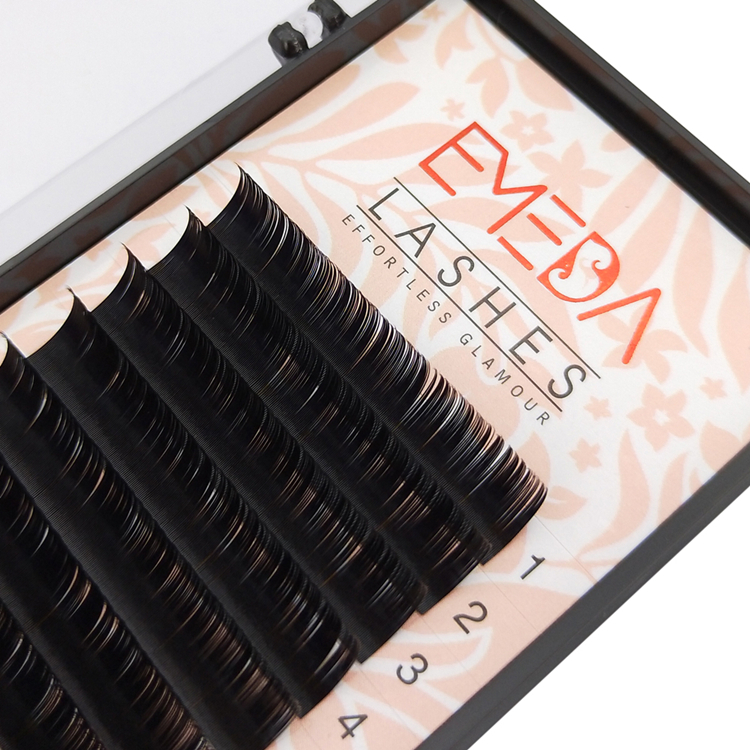 EMEDA eyelash vendors supply new style eyelashes extensions-automatic flowering eyelashes,Bloom in one second. 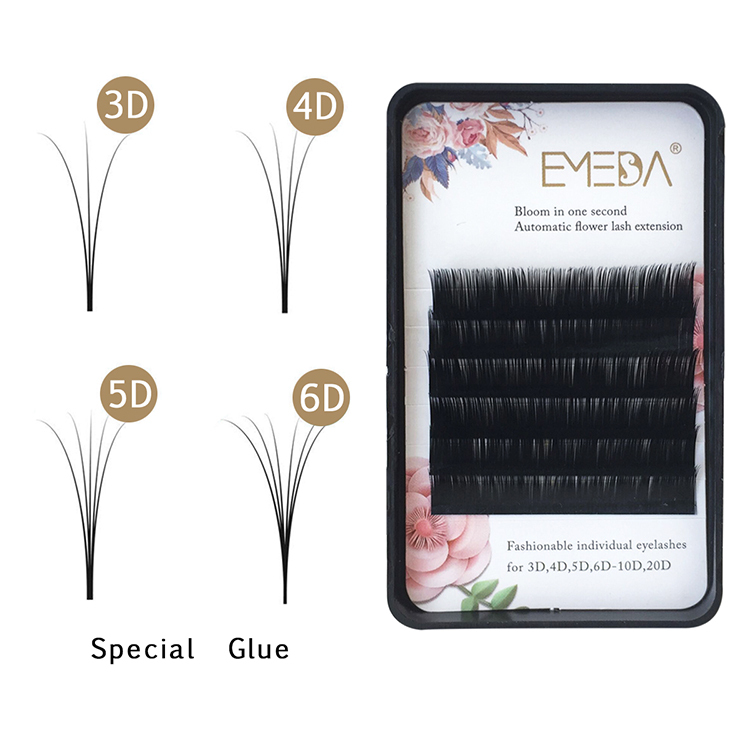 A selection of 3-5 for a cluster of grafted to a lash on the eyelash method for the automatic flowering eyelash.If you take a cluster from the strip,the lashes will spread just like automatic flowering,regardless of flowers to take a few are in a lashes. 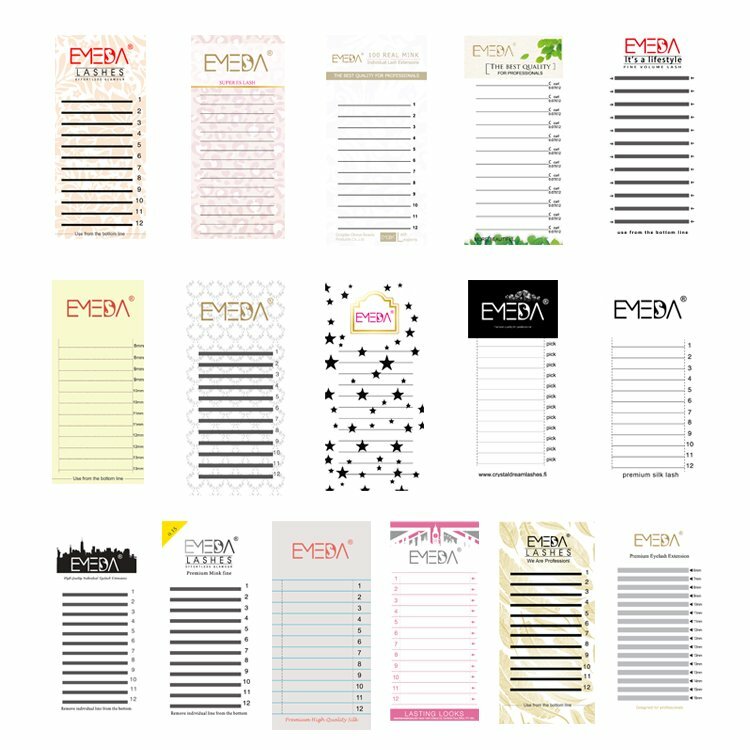 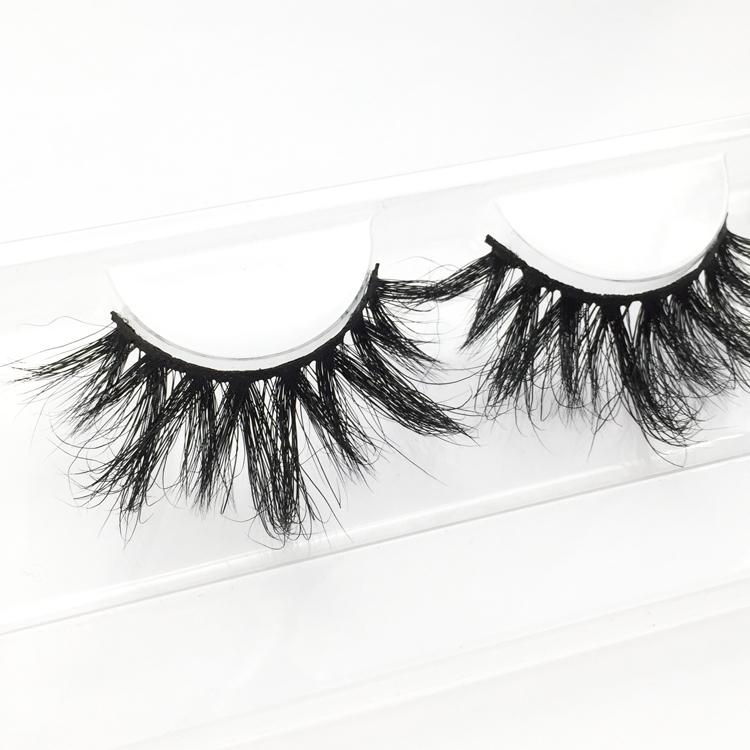 Premium Material: The eyelashes made with black PBT material from Korea and handmade. 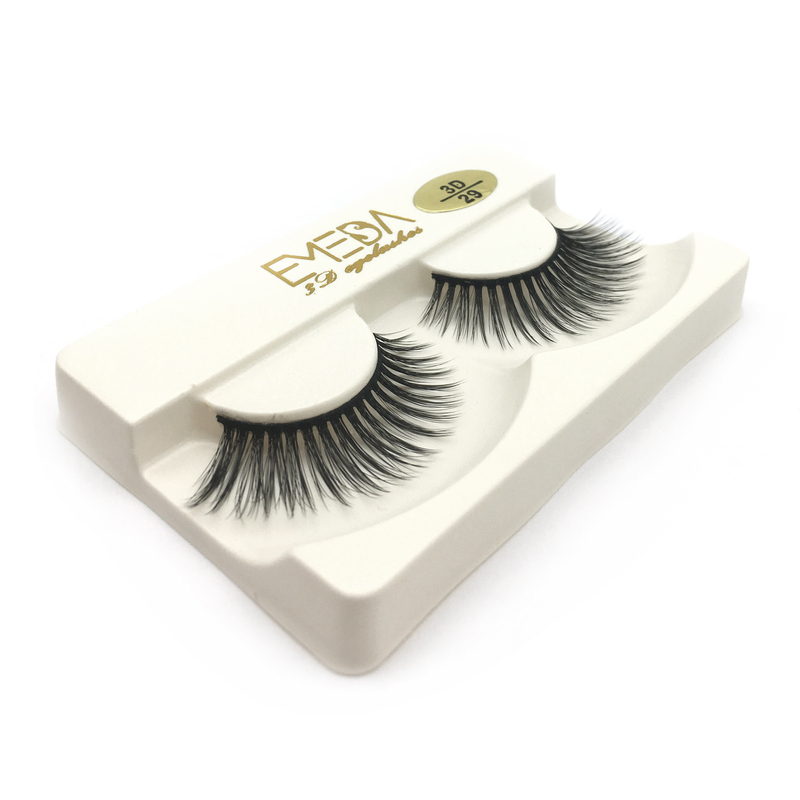 As Korean silk lashes are so soft and light, it’s the best choose for eyelash extensions. 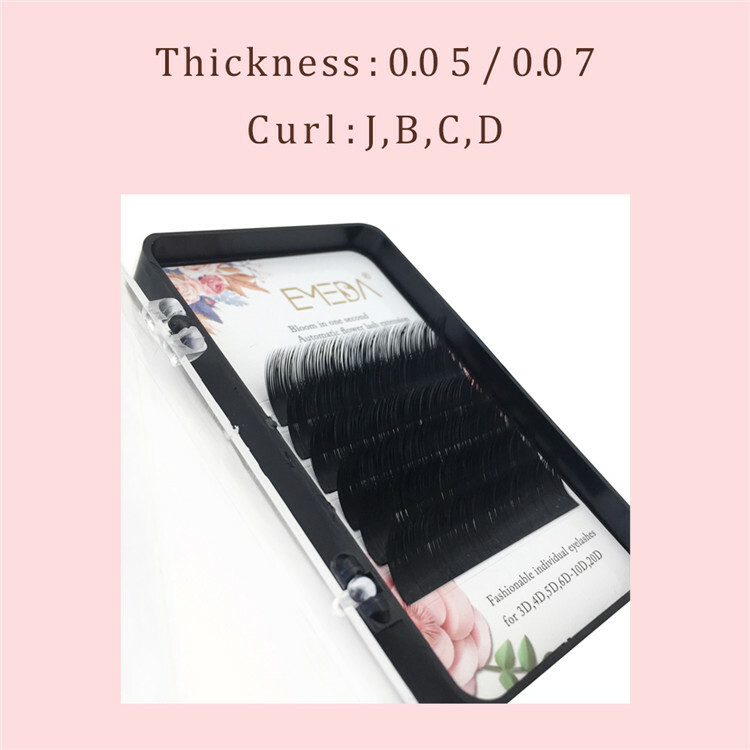 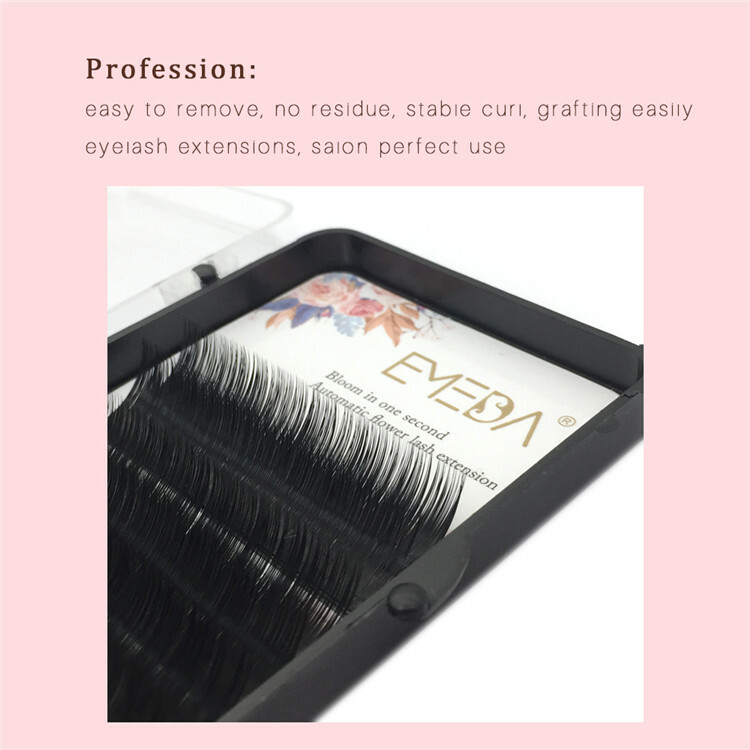 Profession: easy to remove, no residue, stable curl, grafting easily eyelash extensions, salon perfect use. 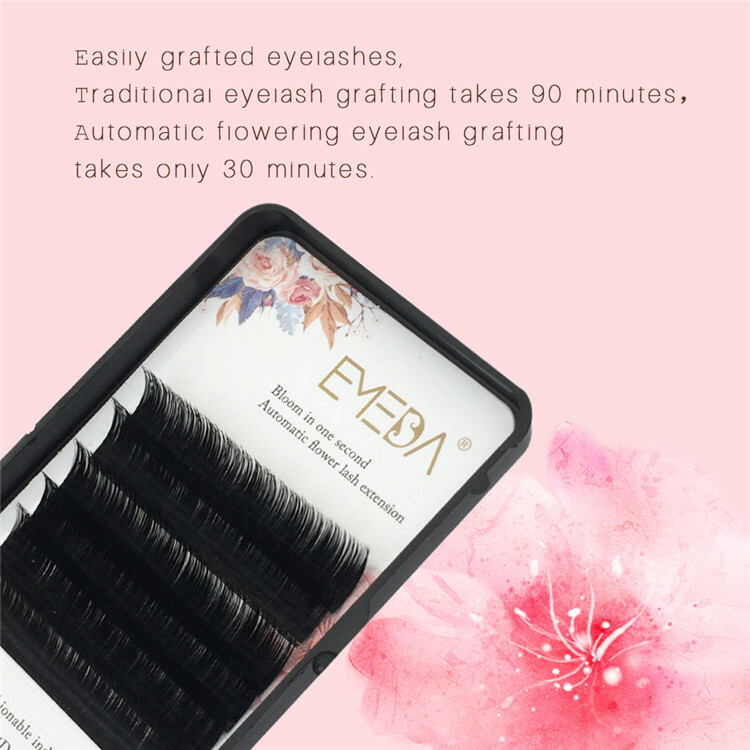 One second blossom: If you want to open a few lashes, you just need to grab a few lashes. 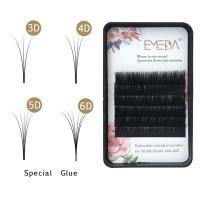 The root of the eyelashes will not separate, any flowering, and novices can operate. 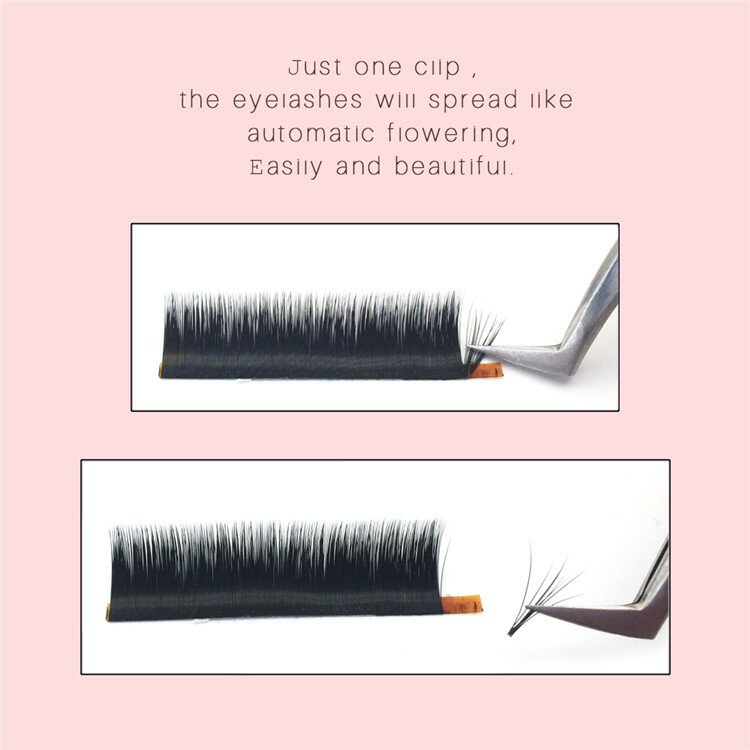 Step1.Take off one strip eyelash, clamp 1/2 place of eyelash root. 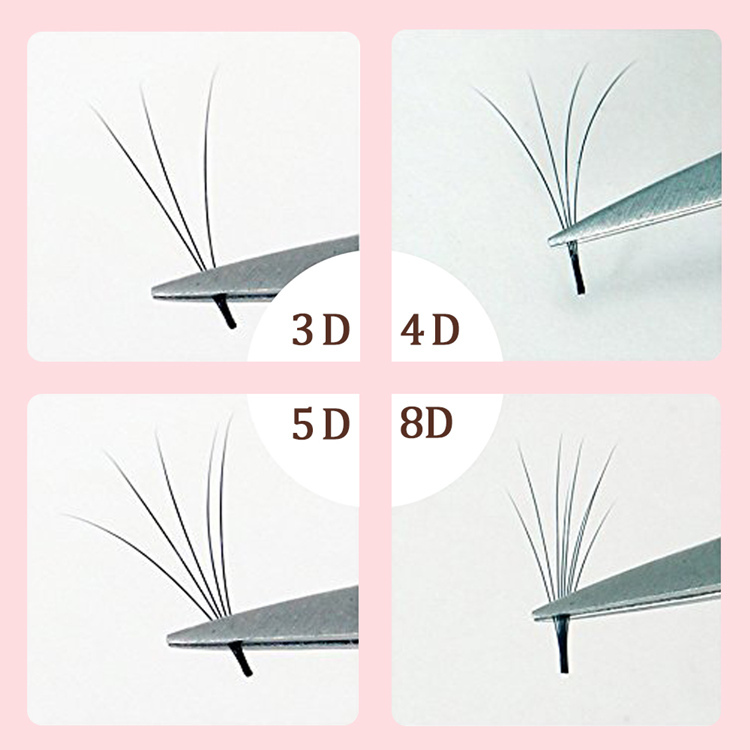 Step2.After clamped, pull to the right, so you can tell hairs number. 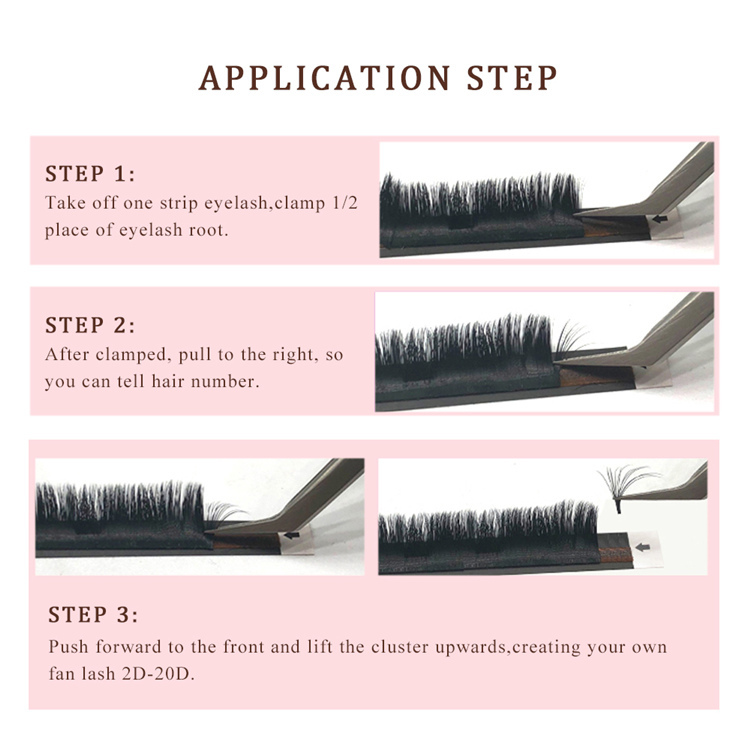 Step3.Push forward to the front and lift the cluster upwards,creating your own fan lash 2D-20D. 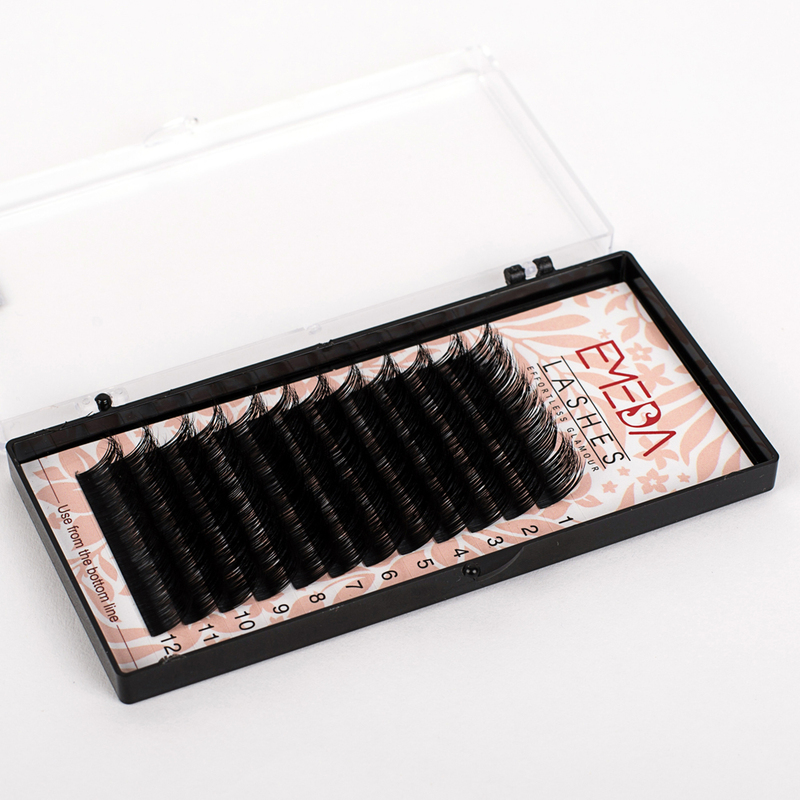 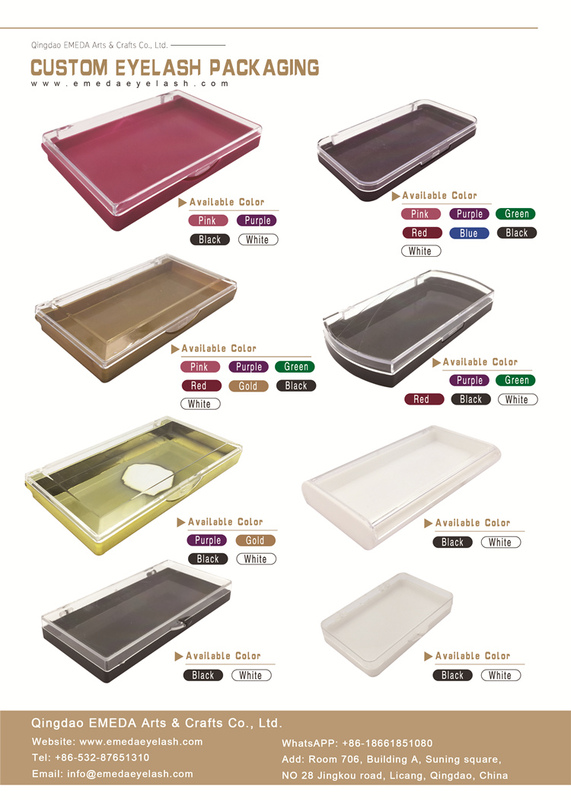 Our company can also supply other eyelashes extensions products. 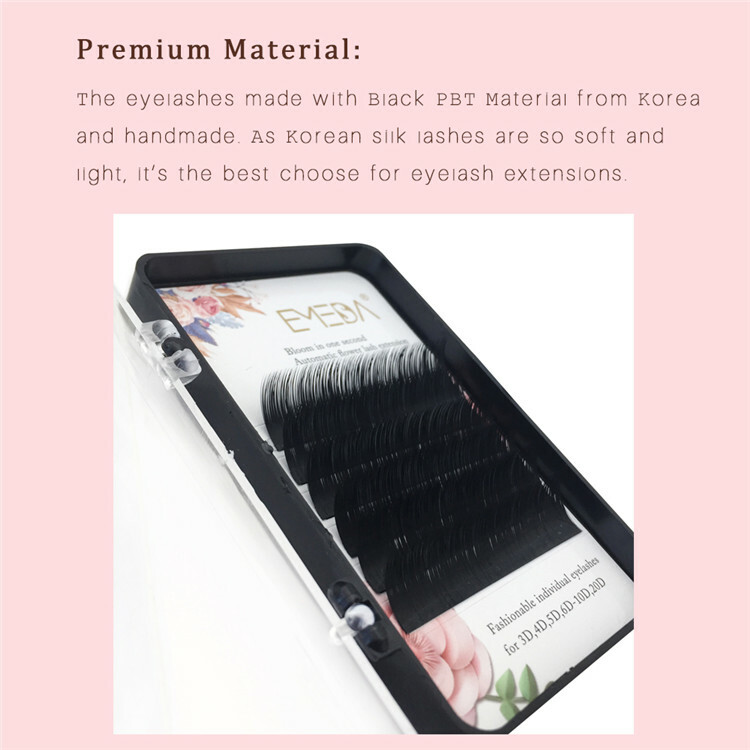 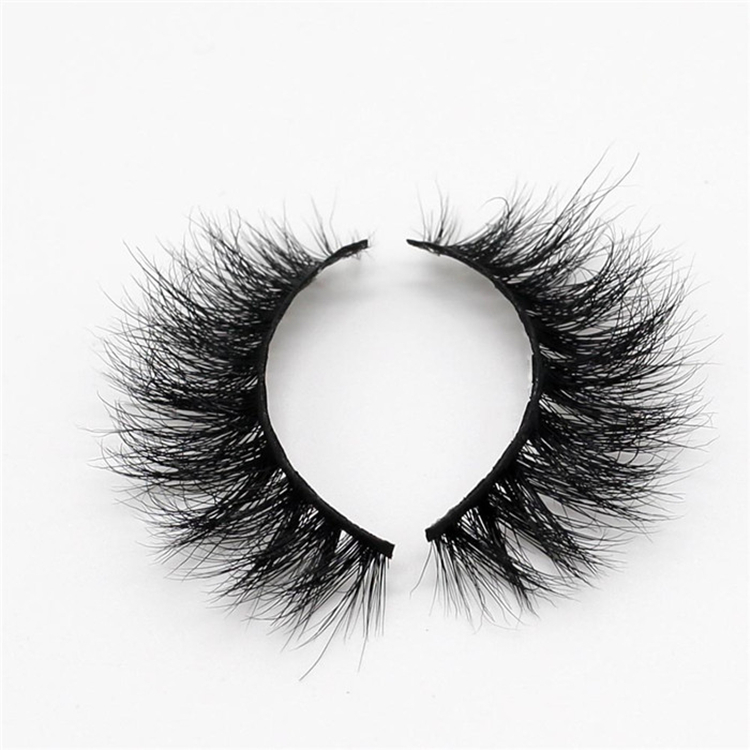 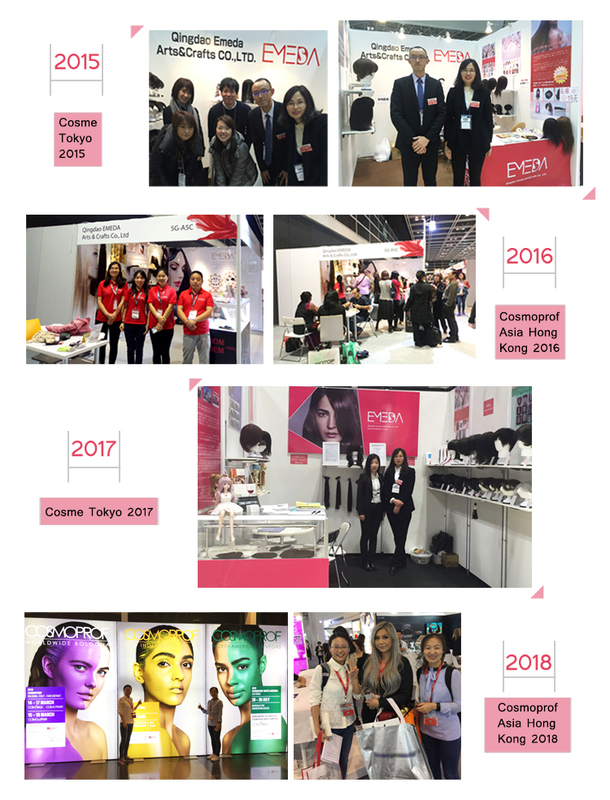 Such as Korean PBT Fiber Lash Extensions,Pre-made Fans Eyelash Extensions,Real Mink Eyelash Extensions,Ellipse Flat Eyelash Extension and so on.